Mention S’mores and I would immediately think of an American dessert made of marshmallows, chocolate and graham crackers. But S’mores in Bangsar South is a drinking hole that sells pretty cheap alcohol – RM50 nett for 3 pints of beer. 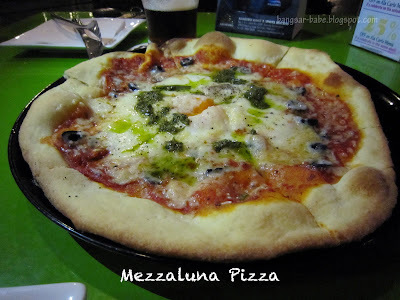 We’ve been meaning to check this place out since it opened last year, but it totally slipped my mind until rif reminded me recently. At about 7pm, the place was packed with people; some already tipsy, some on the way ‘there’ and others who were just starting their first pint. Service can be slow so you’ll have to be patient if you intend to dine here. 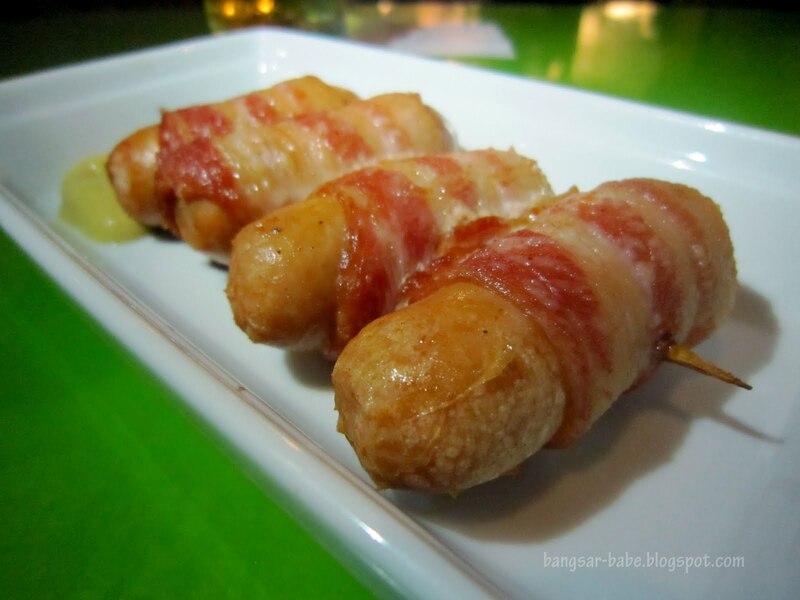 These bacon-wrapped sausages were disappointing. For RM10, I expected more than four tiny sausages. 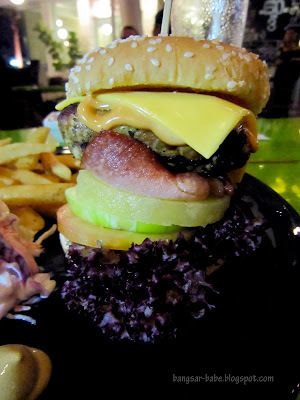 Tastewise, it was more for the tipsy, not for the hungry/fussy. 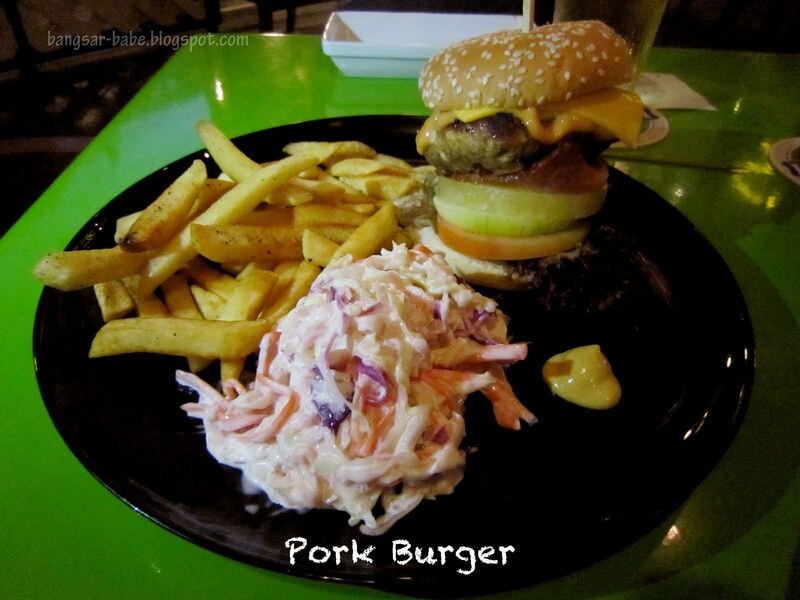 rif’s pork burger (RM23) turned out pretty good. The pork patty was relatively juicy and came with streaky bacon, pineapple ring and cheese. I didn’t care much for the coleslaw as it had too much mayonnaise in it. The fries were nicely fried until crispy, yet soft on the inside. 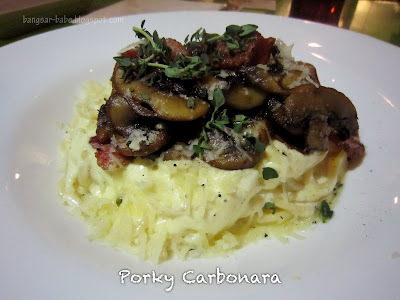 My porky carbonara (RM26) had a generous amount of bacon bits, mushroom slices and grated cheese. 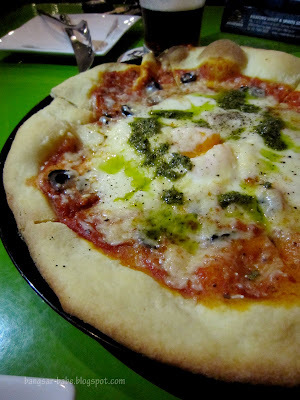 This was very, very creamy…and it got cloying after a few bites. I can’t believe I’m even saying this, but it was too rich for me to handle. 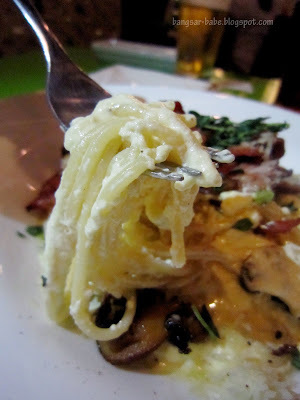 The cream overpowered the rest of the ingredients, so the pasta tasted pretty one-dimensional to me. On our next two visits, we tried the Mezaluna Pizza (RM30) and the Porky Spaghetti Aglio Olio (RM20). The former was highly recommended, but the combination of olive, tomato based sauce, Italian Mozzarella, artichoke hearts and egg was just alright for me. Portion was meagre for this; only two small eaters could share this. 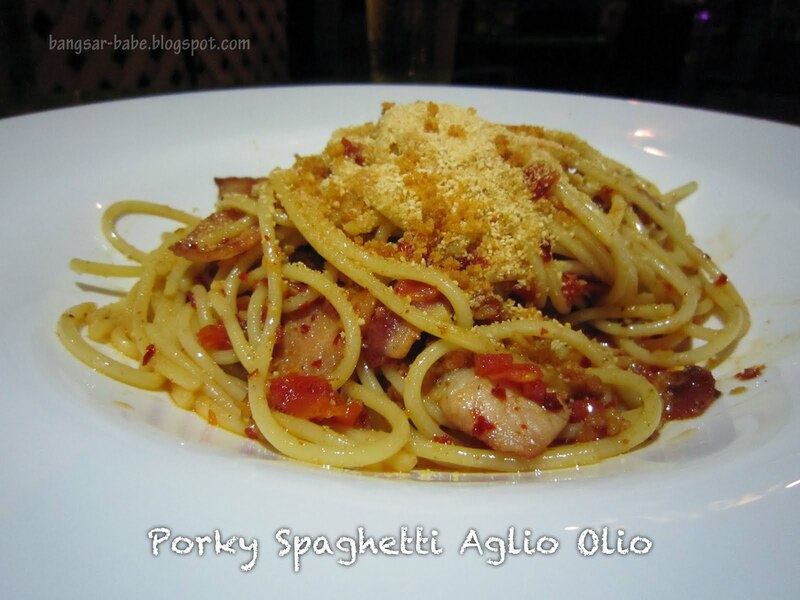 The Porky Spaghetti Aglio Olio was a pleasant surprise. Unlike the carbonara, this was spicy, lightly seasoned and fragrant from the bacon bits. Perfect with a pint of Strongbow. Only one downside — the pasta might be too oily for some, due to the use of olive oil and bacon fat. 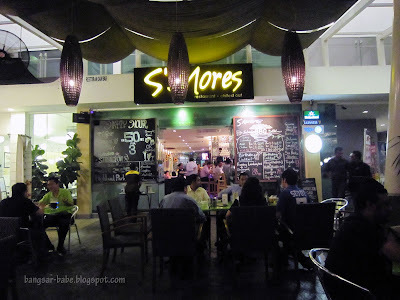 On a whole, the food at S’mores was a hit and miss for me. I wouldn’t mind ordering the pork burger and aglio olio again, but not the carbonara. However, the affordably priced beers keeps me coming back. Verdict: OK food, value-for-money drinks. the beers look great. JOM. This place has done quite nicely for itself! Used to love hitting this place up for early happy hours until the working crowd from the area descended upon it. Difficult to get a seat or service now, especially on Fri nights. 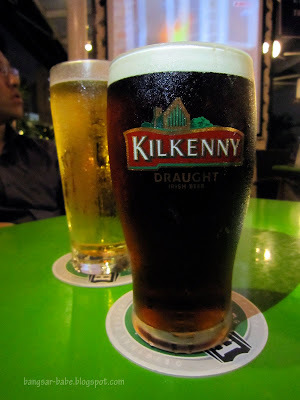 I think it's still the only place that allows 1 pint of Strongbow as part of the 3 pints for RM50 deal, so won't write it off just yet! Food alright. beer watered down so much ur better off drinking sparkling water. avoid happy hours here at all costs.